MN Homebrew Bills Pass House and Senate! Though there were some harrowing moments, the Minnesota homebrew legislation has passed both Houses. The House passed it on 5/8, and the Senate passed it on 5/9. The legislation is now waiting for Governor Dayton’s signature. Representative Tom Anzelc and Senator Tom Saxhaug were the primary authors of this legislation, and managed to guide us and the bills through the process. Rep Dan Schoen also signed on as a co-author to the House version. 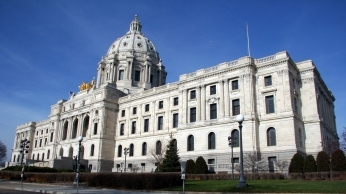 We will post more information about what the law changes mean after Governor Dayton signs the legislation, but you can read the text of the bills in the post below this one. There is some language the Department of Health required in this bill, but that language applies to homebrewed beer and wine served at tastings open to the general public, not beverages judged at competitions, shared at club events or events otherwise restricted from general sampling by the public. A huge thank you to all the homebrewers who contacted their legislators! You made the difference!